Kale has grown on me to the point that I crave it. Thankfully, it has tons of nutrients and gives me energy. My kids–aged two and four love it too! How can that be? Kale is a very woody vegetable that often needs a little doctoring up. I recommend starting with baby kale if you can find it in your grocery store. 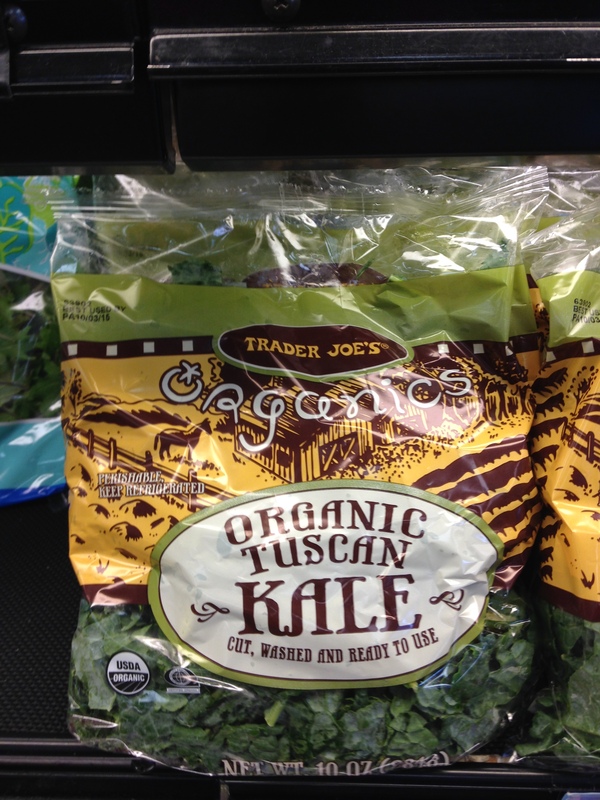 The triple washed baby kale at Trader Joe’s is fabulous. 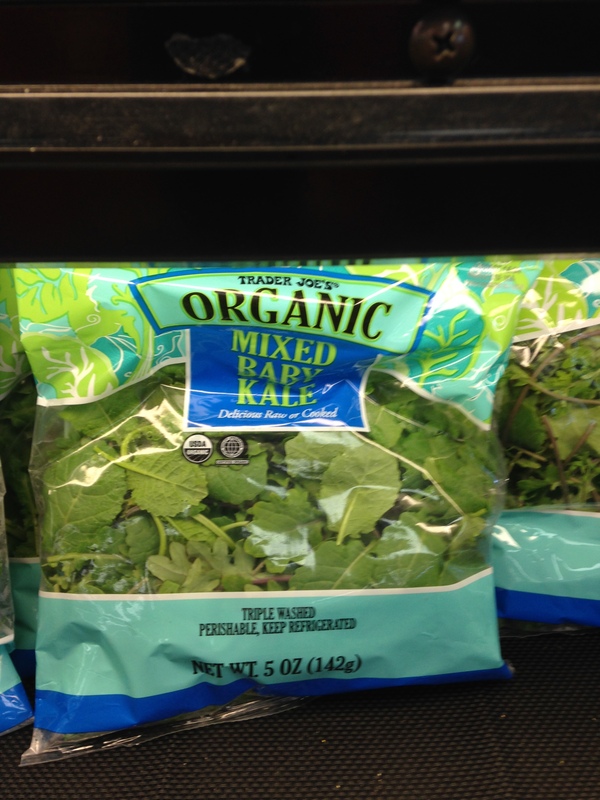 The problem is that when regular kale is triple washed and bagged, the companies leave the stems on with the leaves. Unless you are sautéing or throwing the kale in the soup, this will be very chewy and earthy. If you can’t find triple-washed BABY kale, this is a time when you must buy kale and wash and dry it. I learned from Jessica Seinfeld’s “Can’t Cook Book” how to properly use kale and I’ve been hooked ever since. You must fold the kale leaves and then tear off the stems. Do not eat the stems. The only time that I can use regular bagged kale or the stems is when I make a pesto with kale. It sounds crazy, but it’s delicious. But I still think it’s better without the stems. I like using nuts, oil, fresh herbs, garlic and the kale. I put it on pizza, pasta, chicken, with some ricotta as a dip…the list goes on and on. First, grind the nuts and garlic with 1 TBS of the oil. Then add a handful of kale and the basil with more oil. Continue to add kale and oil until you have a nice consistency. At the end, add the cheese, salt, and pepper. I like to have the food processor going and add the oil as it purees. Then your pesto won’t separate later. My kids love eating “green pizza.” I just put it on any pizza crust, homemade or store bought, and add some shredded mozzarella. A great party dip is to add 1/4 cup ricotta cheese at the end and serve with pita chips. 1. Baby Carrots–rinse and serve. Easy. 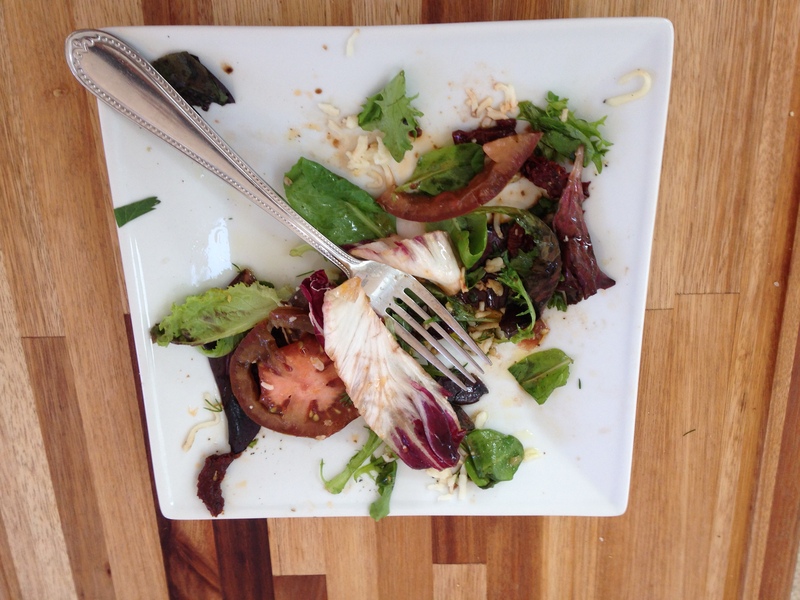 Just like triple-washed salad greens, if I have to peel the carrots, they may not make it on the plate in time. 2. Broccoli–raw or steamed. 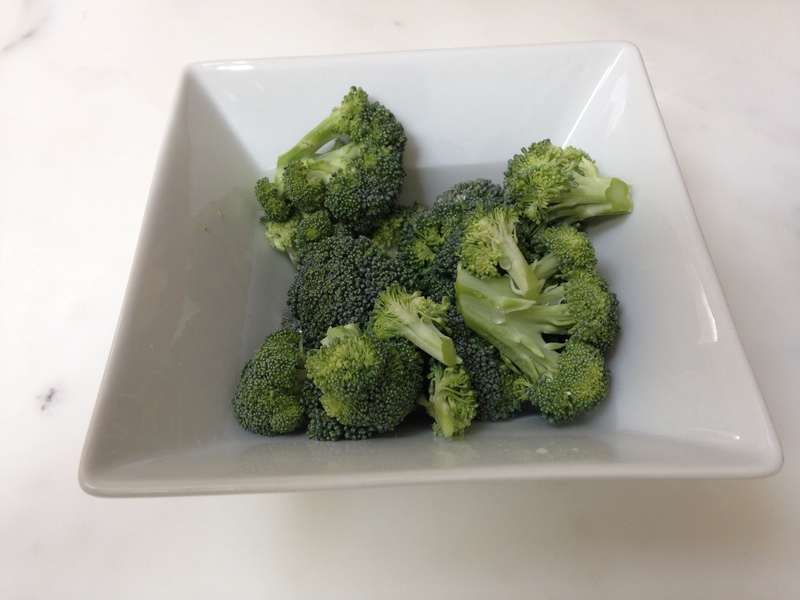 To steam- place chopped broccoli in a ceramic or glass bowl. Add about 1/4 cup of water. 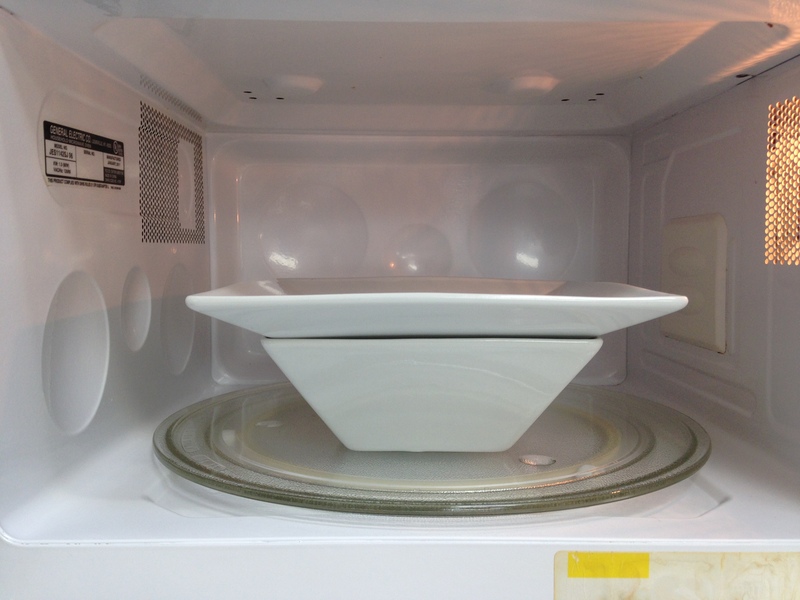 Place a plate on top of the bowl and microwave for 2.5 minutes. Voila. I often put a little EVOO and parmesan cheese on this method, but plain always works for my children’s palates. 3. Frozen peas–take a couple handfuls of these and a tablespoon of water. Microwave in a small ceramic or glass bowl for about a minute. Serve. You can add butter or salt if that is in alignment with your food view. Plain is always good too. I have cute plates with slots for various toddler/preschool foods. I put the veggie in one compartment. I put some sort of dip in the other. My go-to dips are ranch dressing or hummus. I learned from my friend Becky to just put the healthy food out before the meal. Around the witching hour, those kids get hungry and pickier eaters are more likely to choose the healthy option. This is not perfect eating, but my kids are getting fiber and nutrients from this arrangement. Often times a very kid friendly food such as macaroni and cheese, plain pasta, pizza, or hot dog (all beef, nitrate free) are served alongside the fresh fruit or vegetable. 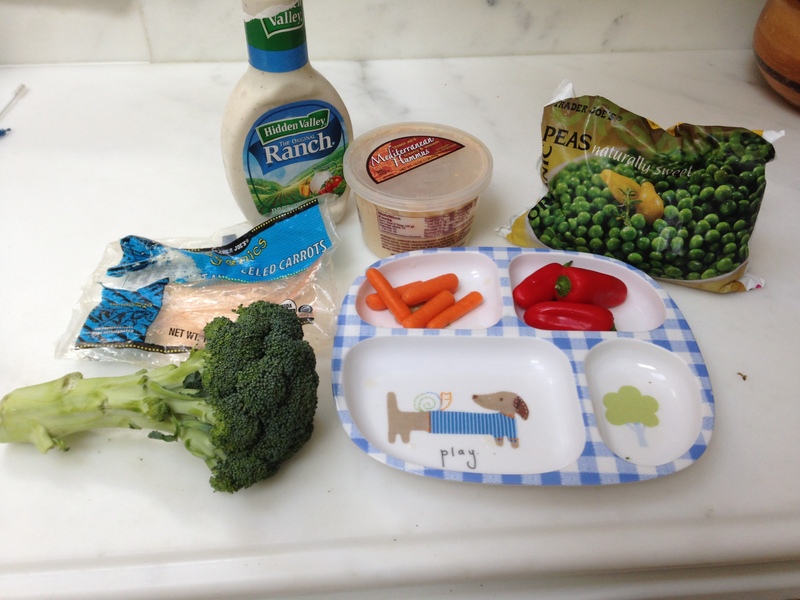 How do you get your children to eat and enjoy fresh fruits and vegetables?